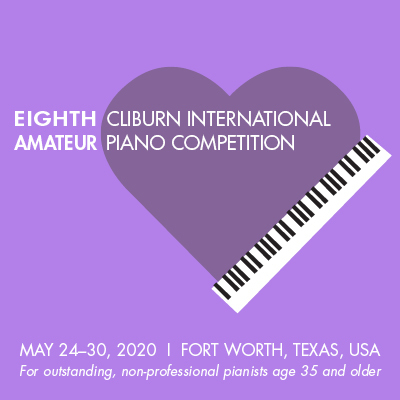 The Cliburn invites all outstanding, non-professional pianists age 35 and older to apply for the 2020 Cliburn Amateur Competition. Applications will be due January 16, 2020. 48 competitors and 24 non-competing participants will be announced March 24, 2020. Ralph Votapek, 1962 Cliburn gold medalist, will serve as jury chairman. 6 Finalists will once again perform with the Fort Worth Symphony Orchestra and conductor Damon Gupton.